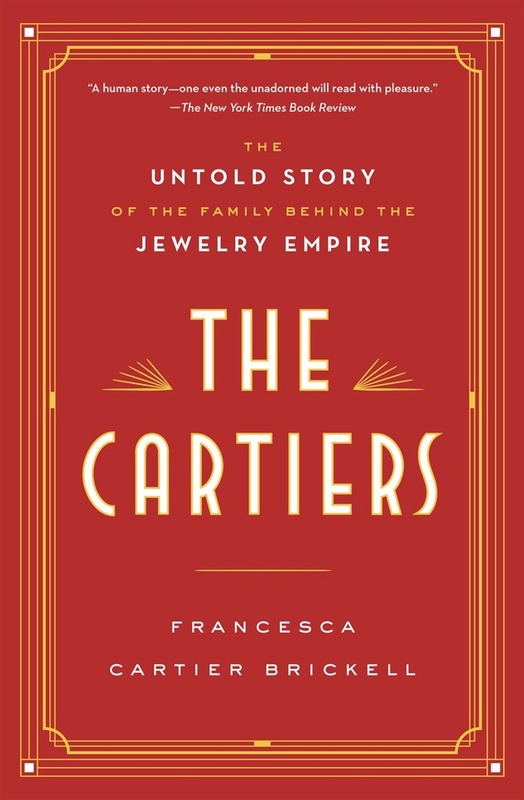 The fascinating story of the family behind Cartier, and the three brothers who turned their grandfather's humble Parisian jewelry store into a global luxury icon--as told by a descendant with exclusive access to long-lost family archives. 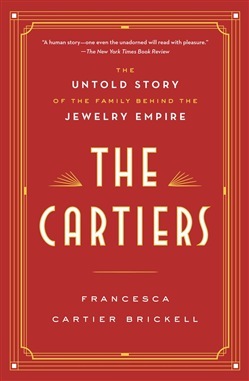 Francesca Cartier Brickell, whose great-grandfather was the youngest of the Cartier brothers, gave up a career in finance to travel the world in her search for details about her family history, tracking down those connected with her ancestors and discovering long-lost pieces of the puzzle along the way. Now she reveals never-before-told dramas, romances, intrigues, betrayals, and more. This is the captivating tale of four generations, from revolutionary France to the 1960s. At its heart are the three brothers who made their family firm internationally famous in the early days of the twentieth century, thanks to their unique and complementary talents. There was Louis Cartier, the visionary designer who created the first men's wrist watch to help an aviator friend tell the time without taking his hands off his flying machine's steering wheel; Pierre Cartier, the master dealmaker who bought the New York headquarters on Fifth Avenue for a double-stranded natural pearl necklace; and Jacques Cartier, the globe-trotting gemstone-expert whose travels to India gave Cartier access to the world's best rubies, emeralds and sapphires, inspiring the celebrated "tutti frutti" jewelry. The Cartiers also reveals behind-the-scenes history of the firm's most iconic jewelry--the Romanov emeralds, the notoriously cursed Hope Diamond, the classic Panther pieces--and the long line of stars from the worlds of fashion, film, and royalty who wore them, from Indian Maharajas and Russian Grand Duchesses to Coco Chanel, Wallis Simpson, and Elizabeth Taylor. Drawn from the private memoirs of the author's grandfather, Jean-Jacques Cartier, and featuring color and black-and-white photographs throughout, The Cartiers is a magnificent, epic social history through the deeply personal lens of one legendary family. Acquista The Cartiers in Epub: dopo aver letto l’ebook The Cartiers di FRANCESCA CARTIER BRICKELL ti invitiamo a lasciarci una Recensione qui sotto: sarà utile agli utenti che non abbiano ancora letto questo libro e che vogliano avere delle opinioni altrui. L’opinione su di un libro è molto soggettiva e per questo leggere eventuali recensioni negative non ci dovrà frenare dall’acquisto, anzi dovrà spingerci ad acquistare il libro in fretta per poter dire la nostra ed eventualmente smentire quanto commentato da altri, contribuendo ad arricchire più possibile i commenti e dare sempre più spunti di confronto al pubblico online.